As anyone who has ever looked for a job knows — as in literally almost everyone reading this — there’s no one key to acing an interview. 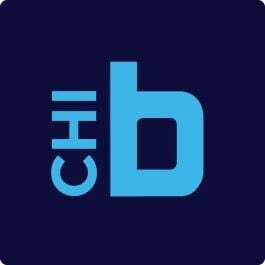 But there are a few things that can help you gain an edge, especially if you’re looking to work in the growing and highly competitive Chicago tech scene. To ensure your job search ends in success, we spoke to five Chicago tech companies to learn what makes their interview processes unique, the traits they look for in candidates and what questions they love (and hate) hearing. Founded in 2014, project44 works with companies in the freight and logistics industry to digitize and streamline their communications. Director of talent acquisition Megan Kovach said the company’s interview process gives candidates the chance to literally show what they can do. What makes the project44 interview process unique? Our interview process gives candidates an opportunity to show their skills. If you’re interviewing for a sales role, you do a presentation. If you’re in engineering, you write code. If you’re a content marketer, you write a piece of content. We realize not everyone is a great interviewee, but that doesn’t mean their skills aren’t outstanding. Throughout the interview process, candidates meet with their potential manager quite a bit, along with their would-be peers and even leadership. We also like to take candidates out to network over a meal or beverage. It’s important that you like us as much as we like you. Talking outside the office is a great way to make sure you want to spend 40 hours a week with us. What traits do successful candidates display during interviews? One candidate brought in a list of more than 80 questions to ask over the course of her interviews. We were floored by her attention to detail. A sense of curiosity has always driven our company’s innovation and growth, and many of our most successful developments have come as a result of team members looking at a process or function and asking questions about it. When candidates display that level of interest during the interview process, we’re more confident it’ll carry over to their work if hired. What's the best question(s) a candidate has ever asked? We have had some exceptional questions, but my favorites are those that dig into our product and competitive differentiation. When a candidate asks a good question about the product, not only does it show that they’ve done their research, but it shows that they’re already thinking about ways to make us a more competitive company. That said, I am constantly being surprised by new, excellent questions from candidates. SPINS provides analytics and insights for manufacturers, retailers and brands working in the natural, organic and specialty products industry. SVP of customer relations Patrick Kelly works with the company’s retail partners to provide actionable insights designed to improve the health and wellness shopping experience. Kelly said he looks for candidates who can talk tech one minute and empathize with the needs of end users the next during interviews. What makes the SPINS interview process unique? Members of the SPINS solutions team will often work with sales and account management as well our engineering, product management and data architecture experts throughout any given project. Our interview process reflects the importance of collaboration, as all candidates meet with members across different teams and each interviewers’ evaluation is a critically considered. On top of the having the right skill sets and a collaborative mindset, a critical factor that I look for is resourcefulness. As SPINS continues to grow, all members of our team must be driven by an attitude of ownership for each business problem and its data-driven solution. I always look for candidates to ask questions that demonstrate their understanding and appreciation for the ultimate value of our work. The solutions team is at its best when the sophisticated analytical methodologies that enable our simple, powerful insights are behind the curtain. This typically comes through best when a candidate seamlessly transitions from discussing the technical expertise to poignant questions about our end users and the most impactful way for us to deliver. Networked Insights helps brands better connect with their customers. The company, which was recently acquired, uses machine learning and artificial intelligence to help marketers find their ideal audience and learn what they care most about. People manager Deborah Evans cites curiosity as one of the biggest factors in acing an interview at the company. What makes the Networked Insights interview process unique? In all interviews, a well-rounded team assesses skills and value-fit. Peers, direct reports and managers are all part of the interview process. By the end of the candidate’s time at NI, we want them to know what working with everyone would be like. In addition to the core skills of the job, we want to know if candidates embody our core values of collaboration, ownership, leadership and an entrepreneurial spirit. Our values make us unique as a company, and we want new colleagues to add to our culture. Successful candidates ask questions throughout the interview, which gives it more of a conversational feel. This demonstrates that they are listening to what the interviewer is saying and are interested in the role and what it would be like to work here. It also shows that they’re not just looking for another job. What's the best question (or questions) a candidate has ever asked? “What are have you accomplished here that you’re most proud of?” This gives me a chance to discuss how we are always working to improve the colleague experience. Most of the improvements we made were driven by feedback. This lets candidates know that we listen, take feedback seriously and value our people. “If you could solve one problem in the world, what would it be?” I had a candidate ask me this recently and I found it was unique given the setting. After I responded, I asked the same of him and we had a great conversation about what we were passionate about outside of work. My colleagues and I like to get to know the people we are hiring, and questions like this help with that. Groupon’s on-demand marketplace makes it easier for consumers to find deals from local merchants. Director of information security Benjamin Lawson said Groupon takes a different tact when it comes to learning how interviewees approach problem solving. What makes the Groupon interview process unique? We like to do coding exercises as part of our interviews for developer-centric positions. We’re unique in that we aren't rigid about languages, and have even done these in pseudo-code. This allows us to cut through any purely technical minutiae and get a good view on the candidate's thought process. Striving to discover how an interviewee thinks about a problem isn't unique to Groupon, but how we get there is a bit different. The best candidates ask good questions. Good questions are clarifying without being pedantic. They ask about the underlying problem being solved, which oftentimes leads to the candidate looking to understand better how we can help the customer and thus the business. This type of curiosity really reflects a good culture fit for us. SpotMe works with companies to create awesome apps for conferences and other live events. The company’s apps feature everything from group messaging and maps to functions designed to stoke engagement, like Q&As and polls. Marketing Manager Alexandra Tamashiro said candidates should skip the fluff when preparing questions for their interview. What makes the SpotMe interview process unique? Respect: We do want to make sure we give everyone equal consideration and respect their time. The first step in our process is a two-minute questionnaire with a good mix of aspirational and practical questions. It’s about you, not us: While we will come with many questions, we will also spend significant time sharing with you the ins and outs of the role and why we believe you could be a fit. We do expect every candidate to come with their own questions. It’s fair to say that at SpotMe, “interview” is a misnomer and “exchange” would be a better word for it. Leadership involvement: Hiring people is the single most important decision for a company and our CEO, Pierre Metrailler, personally meets and interviews every candidate during the process. His approach is simple: transparency and establishing a personal connection are key. They are proud, passionate and stay authentic. We realize a lot of people are afraid of making mistakes during interviews. We hire for strength, not lack of weakness, and love colorful personalities. Successfully navigating a truly international environment is another key success factor since our team is home to people from over 30 different countries. Can we start with the questions you can keep for other interviews, like those about the company’s culture and vision? The best type of questions are the ones that spark deep conversations. One we recently heard was, “In the last year, what were the biggest internal challenges the team or the company faced?” Learning SpotMe’s approach to conflict resolution provides candidates insight into our culture. From our perspective, this type of question is a chance to share how we operate in difficult times and set a tone of integrity.